If you have an innovative or functional product, you know that one of the biggest challenges is spreading the word about its features and benefits. One problem – people don’t connect with information. Consumers connect more on an emotional level, with aspirational messages or lifestyle images. A dissertation on the metabolic integrity of non-GMO allulose… that just isn’t going to land. The KNOW Foods team have found a solution – unleash the power of influencers. 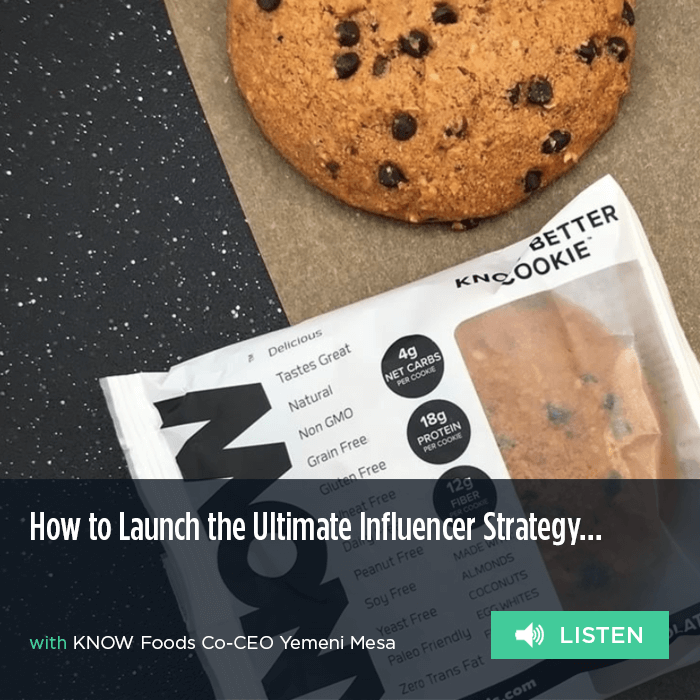 This week, KNOW Foods Co-CEO Yemeni Mesa joins us to talk about the influencer strategy that’s changing the game for the rapidly growing, keto-friendly baked goods brand. Additionally, Yemeni and Jordan geek out on keto topics, and Yemeni shares the top three lessons learned from scaling Quest, one of the true unicorns in CPG.